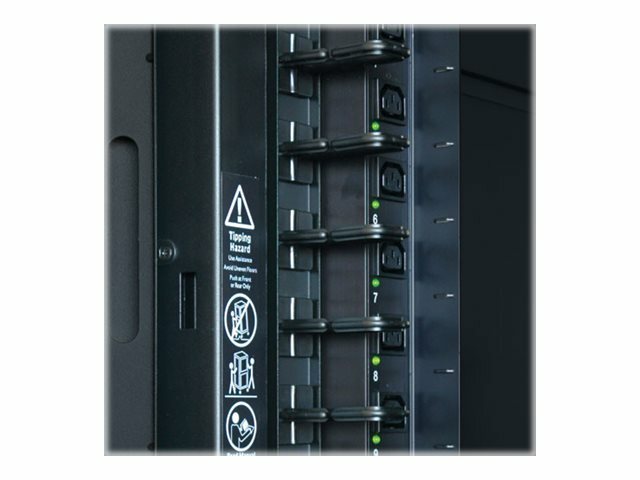 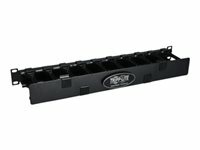 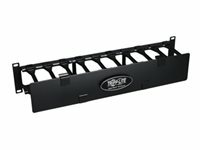 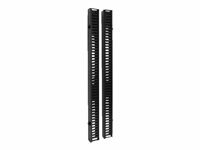 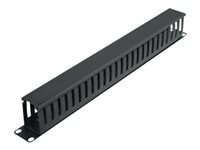 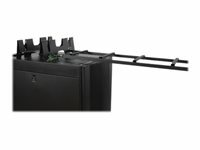 Tripp Lite's SmartRack SRCABLERINGVRT helps eliminate cable stress by organizing the cables within the SmartRack enclosure or open rack cabinet. 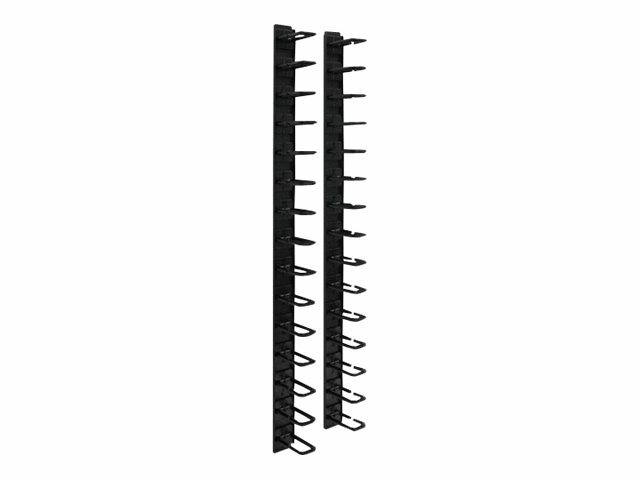 The vertical cable manager (flexible ring type) is 6-ft high and split into two 3-ft sections to allow for multiple installation options. SRCABLERINGVRT offers toolless button mounting.